Keeping fit should be an essential part of our lives, and we should have some form of exercise to enable us to stay in good shape and this Diamondback Lux Womens Mountain Bike Review will guide you. Mountain bike riding is something I love to do. So, I recently purchased the Diamondback Lux women’s mountain bike for my trail riding, and it has proven to be efficient and durable. This bike is very comfortable to ride on and is surprisingly lightweight. This Diamondback Lux women’s mountain bike review and guide will let you know everything you should know about this bike. So if you ever consider factoring trail riding into your exercise routine, and you need a mountain bike, the Diamondback womens mountain bike is an ideal choice for you. Types: Some bikes support all kinds of terrains, but others are designed for a particular type. Frame: The mountain bike frame determines its strength and durability. For a woman, you need a structure that is strong enough for a rough terrain, and yet lightweight. Size: Make sure it suits you perfectly. Budgets: Your budget, especially as a beginner. This bike is a hardtail, which means biking energy is not wasted on the compression of the suspension system. Its aluminum frame makes it lightweight, sturdy and affordable. This Diamondback Lux 27.5 women's mountain bike features components that geared towards the comfort of the woman. Examples of these components are the DB saddle, the handle-bar, and the grips. This product is, therefore, more suitable for women and mountain trail riders. For non-mountain bikers and non-trail riders, I wouldn’t recommend this particular bike. Instead, there are other bikes that are not designed for hard terrains. You could simply get them. For more info, you can read ours buyers guide too. 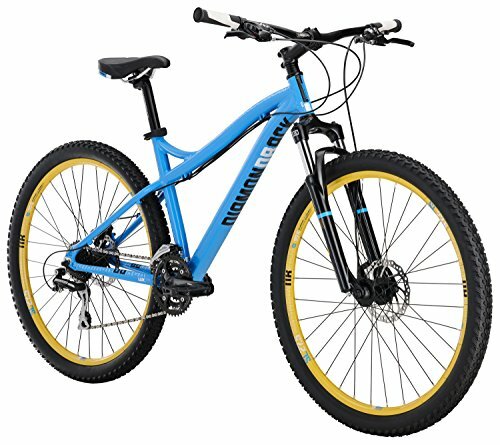 For beginners in mountain biking, the Diamondback womens mountain bike is designed with a 6061-T6 aluminum frame to ensure both durability and lightweight. It comes with a low-slung top tube for an added standover clearance which makes it easy to get on and off the bike. The 27.5” wheels and SR Suntour fork will make you roll down the trail with absolute confidence. Diamondback has seen the need for a dedicated women's line and started from the bottom up, focusing on the female cyclist. This bike is tailored-fit for women. It carries proven performance components, lightweight design for a smooth ride and a unique color scheme. With its unique Divine design, you will discover the devotion to elegant craftsmanship and technology that is incorporated into this hardtail in designs especially for women. It has a hardtail frame designed specifically for women. Also, its stand-over clearance allows for easy getting on and off of the bike. This bike is sometimes considered a cross-country bike because their frame allows for going up and down a hill efficiently. Aluminum is a material that is cheap, light and can be a hard metal with an incredible balance between strength and weight. This attribute makes this bike one of the best 27.5 mountain bike. Diamondback Lux women’s mountain bike comes with three chain rings on its crank set and a 9-speed Shimano drivetrain for handling multiple road conditions. At the same time, the drivetrain offers maximum comfortable pedaling. In total, the bike has 24 possible gear ratios. The gear ratio of the lux sport added to the 27.5-inch/650B wheels; give this mountain bike maximum gearing. With this high max gearing, you can pick up speed on a flatter terrain with excellent efficiency. Frames' stiffness may cause the ride rougher over bumpy surfaces. The wheels spare parts are tough to replace. The aluminum frame of this full suspension with powerful suspension fork. The wheels are made of alloy and have a double wall 32-hole rim. You can buy if you are on a light budget and you want a bike that is lightweight and still with the ability withstand heavy weight. However, it is not as expensive as the Diamondback Women’s Lux sport. This Women's hardtail bike has a unique butted aluminum frame which provides a lightweight and responsive ride. The SR Suntour XCT fork with 80mm travel ensures a smooth ride. If you want a bike with a great response on rough stuff, then this is it. For the price, I can tell you that they are relatively almost within the same range. Does the bike come with hydraulic brakes? No, it comes with the mechanical disk break. What size do I order for? Here is guide for you. This will help you to ﻿determine your perfect mountain bike size. Yes, it does but after you might have assembled it, you can take it to a bike store close to you to make sure each component were properly fixed. 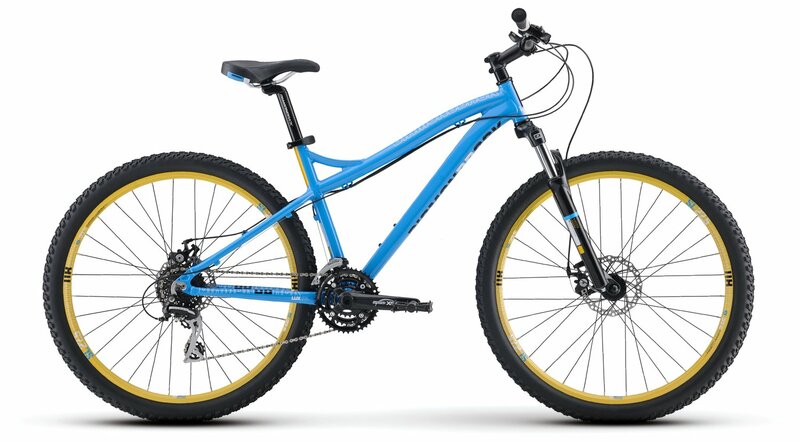 From the numerous Diamondback Lux women’s mountain bike reviews, it is very clear that this bike meets the specific requirements of a mountain trail bike for female bikers. You should know that this 27.5 mountain bike gives you balance when needed especially in difficult terrains. This is a recommended bike and shouldn’t be ignored especially by those who just joined the sport or by those who want something for leisure. So I can confidently tell you that, as a woman, this Diamondback women’s mountain bike perfectly meet your trail biking needs.